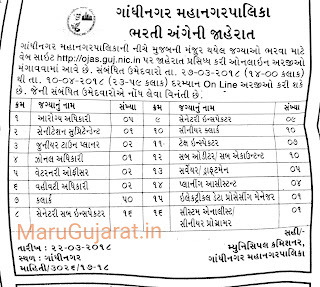 Gandhinagar Municipal Corporation (GMC) has published an Advertisement for below mentioned Posts 2017. Other details like age limit, educational qualification, selection process, application fee and how to apply are given below. 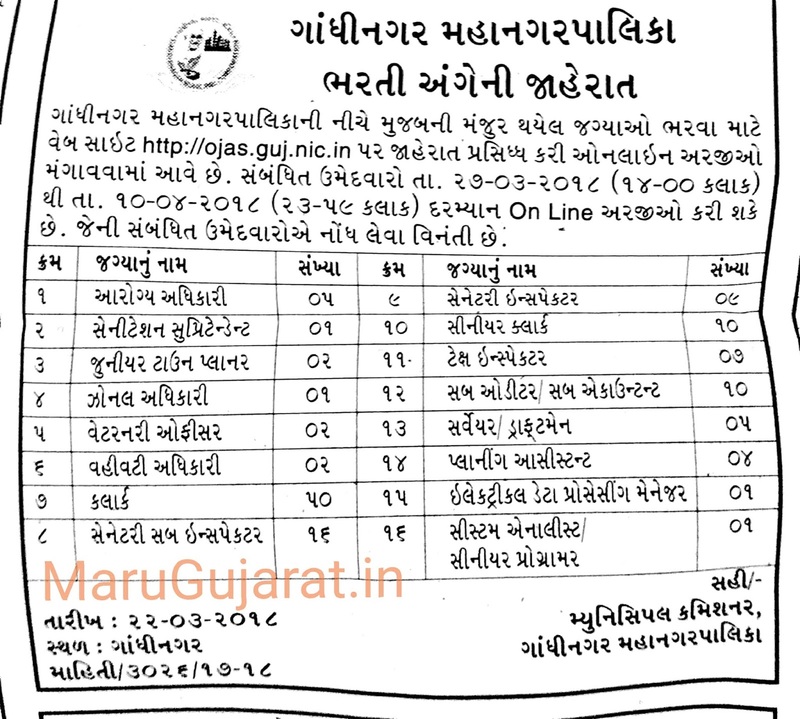 0 Response to "Gandhinagar Municipal Corporation (GMC) Recruitment for 126 Clerk, Sanitary Inspector & Various Other Posts 2018 (OJAS)"